100% nylon pre-shrunk-lightweight requiring minimal drying time. 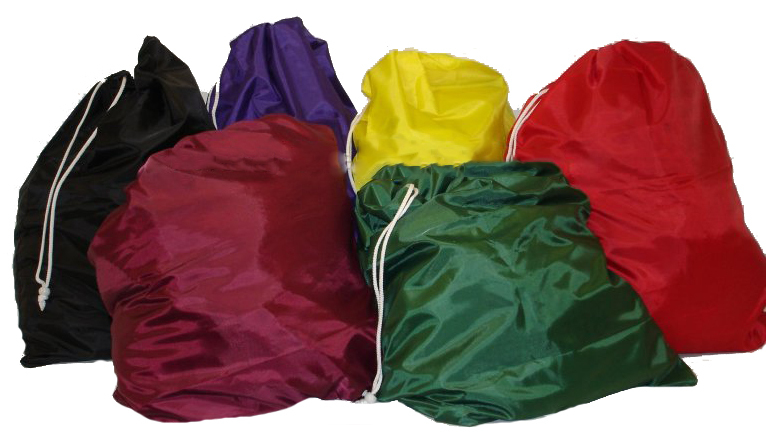 Colors available: Red, Navy Blue, Royal Blue, Hunter Green, Orange, Yellow, Black, Burgundy, and Purple. 400 denier nylon also available.